Square Rhinestones For Nail Art | Memorable Days : Beauty Blog - Korean Beauty, European, American Product Reviews. We all have seen the round rhinestones for nail art before right? I often read magazines like Nail up to get some nail art inspiration. I have seen lots of nail art designs with square rhinestones lately and it looked pretty so I bought it as well :D. I actually like these rhinestones more than the round ones. 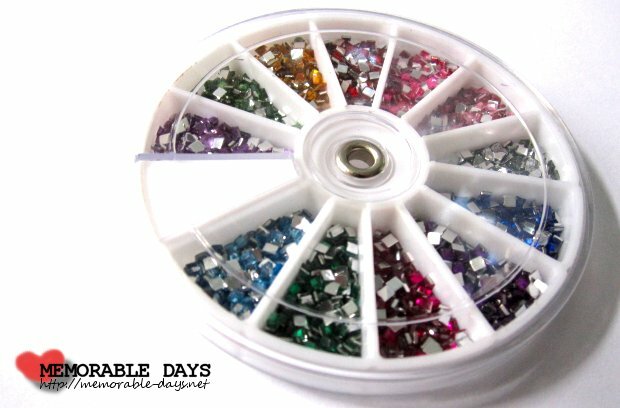 There are 1800 square rhinestones in this wheel and 12 different kinds of colors as you can see below. I bought these on Ebay for $2,49 with free shipping at seller Art-La-Lic. I was very satisfied with the service of this seller. The shipping was quite fast, it took around 10 days to arrive at my place. The size of the rhinestones is 2mm. 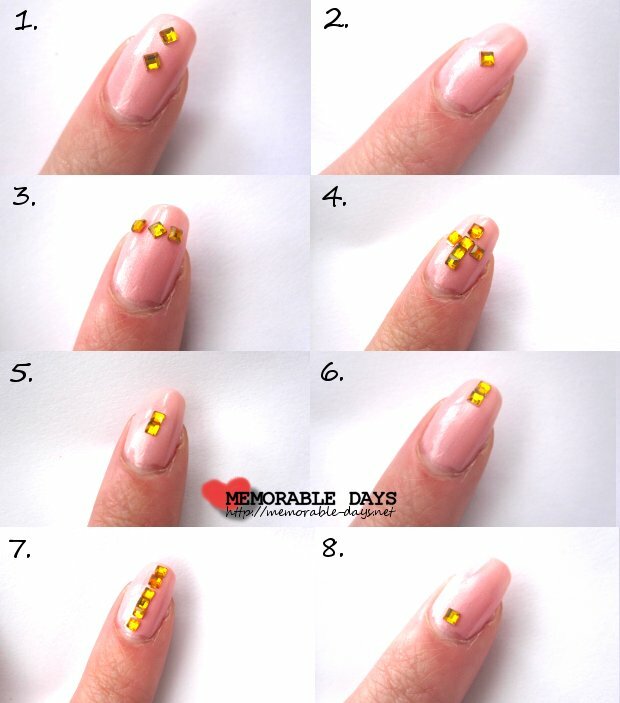 There are different ways to put it on your nails which is the fun part of square rhinestones. I'm going to show you a few below. Which style is your favorite out of these 8 ^o^~? OMG you make them look so good haha! I think it's becuase of your long nails and good lighting :) I looks easier to make pictures with them :) cool! me neither. i usually see round ones, but i like these more :D ~! and i'm sure that more and more people will use it in the future haha ='D ppl just don't know that there are square ones as well.